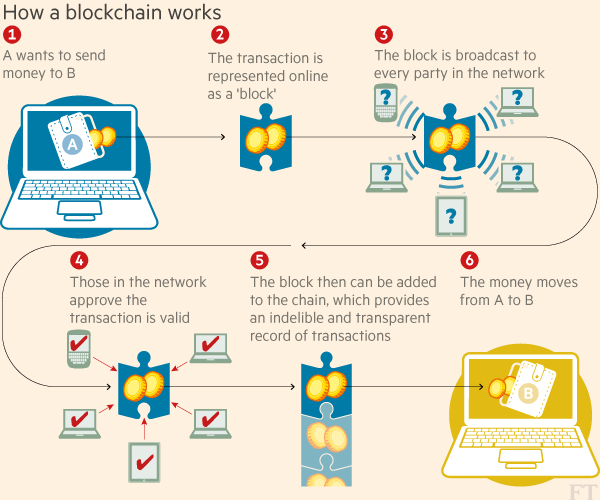 Blockchain was created as the system for running bitcoin and other cryptocurrencies. Big banks and corporate giants are racing to make the technology work for them in the belief that it will cut costs and transform the way the world does business. Finance is only the start, though. Blockchain is also being put to work on a handful of the world’s toughest problems. 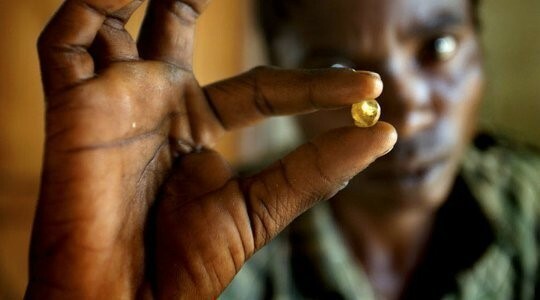 Think: human trafficking, conflict diamonds and land rights. How is this possible? Blockchain is a decentralized database shared among a network of computers, all of which must approve an exchange before it can be recorded. There’s no need for a trusted intermediary like a bank because the information is held securely and transparently on a digital ledger for all users on the network to see. The implications for society could be huge: blockchain may have been developed as a system for payments, but its admirers believe it has almost endless applications, from making online music sharing fairer to empowering people through registering land. One fifth of the world’s population – an estimated 1.5 billion people – do not have an official document to prove their identity. Most of them live in Asia and Africa and a “disproportionate number” are women and children, the World Bank says. Without legal identification, these people are “invisible” to society, and that makes them vulnerable to trafficking, prostitution and exploitation. Microsoft has announced it is working with partners on a secure identity system that uses blockchain to independently verify people’s identities. The Kimberley Process, an international body launched in 2003 to clean up the trade in conflict-zone diamonds, is exploring how blockchain could help trace the provenance of diamonds. One start-up, Everledger, is already using blockchain to digitally certify diamond ownership. CEO and founder Leanne Kemp believes the technology could also be applied to other problems such as ivory poaching. The fashion industry is also experimenting with blockchain as a method of tackling counterfeiting. Within the music industry, blockchain is being touted as a way to level the playing field for artists by allowing them to sell direct to fans and to solve licensing issues. 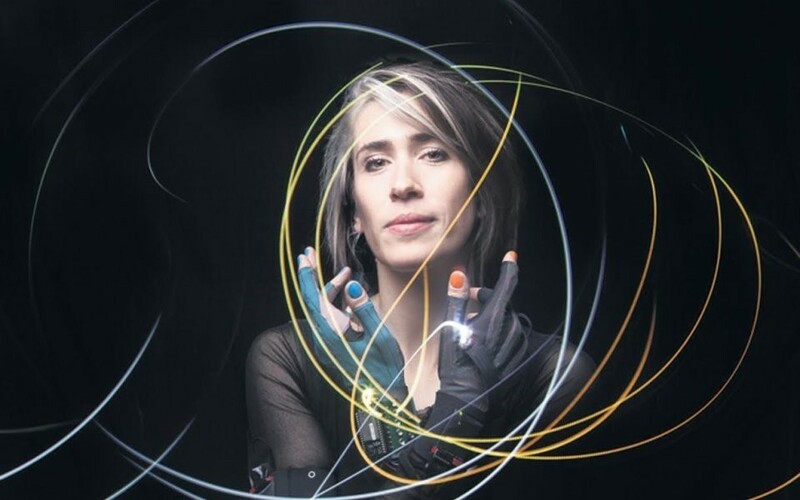 Grammy-winning singer-songwriter Imogen Heap released her song Tiny Humanusing a blockchain platform. Users paid for licences to download, stream and remix the song and each payment was automatically split between all the people involved. Heap has now launched her own blockchain project, Mycelia. Sweden is experimenting with putting its land registry system on blockchain. The plan is to use the technology to make the details of real estate transactions visible to all parties – banks, brokers, government officials, buyers and sellers. For developing countries, building immutable title systems on blockchain could be a means of stamping out fraud and encouraging people to record unregistered land. It might also help banks to lend against land. In Honduras, one of the poorest countries in Latin America, US blockchain company Factom was reportedly in talks with the government in 2015 to create a decentralized database of land titles. Meanwhile, a different initiative, Bitland, is looking at the feasibility of putting titles on blockchain in Ghana, where an estimated 78% of land is unregistered. The Georgian government is also reported to be working with Bitcoin company BitFury on a system for registering land titles using blockchain.